A multi-dimensional tourist paradise, the state boasts of year-long attractions for both domestic and foreign visitors. Given its historical wealth and geographical mix, the promotional agency TTDC - Tamil Nadu Tourism Development Corporation - has set up and maintains a wide range of infrastructure and recreational facilities across the state for increasing the footfalls at scenic spots, pilgrim centres including temples, hill resorts and leisure paradises. Further, the state-owned TTDC has spawned new genres in tourism industry by sub-dividing it into leisure, heritage, pilgrim, adventure, rural, ecology-friendly, cruise, sports, rural, education, cultural, and business segments in order to micro-manage critical niche sectors which can be developed into full fledged attractions for revenue generation. Ranked first in drawing domestic tourists in the country, TN attracted 244.2 million of them in 2013 up from 184 million in the previous year. 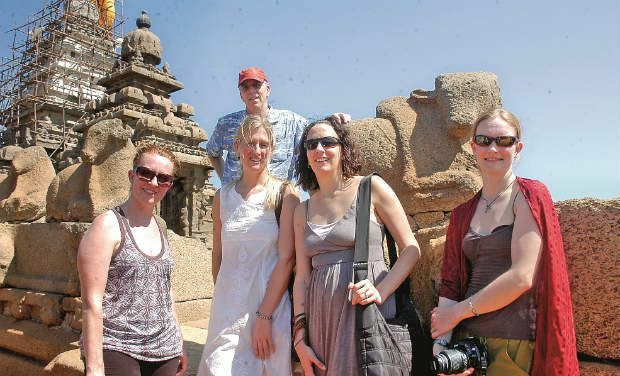 With a new slogan of "Enchanting Tamil Nadu", the state had 39 lakh foreigners in 2013, second only to Maharashtra, up from 35 lakh in the previous year. 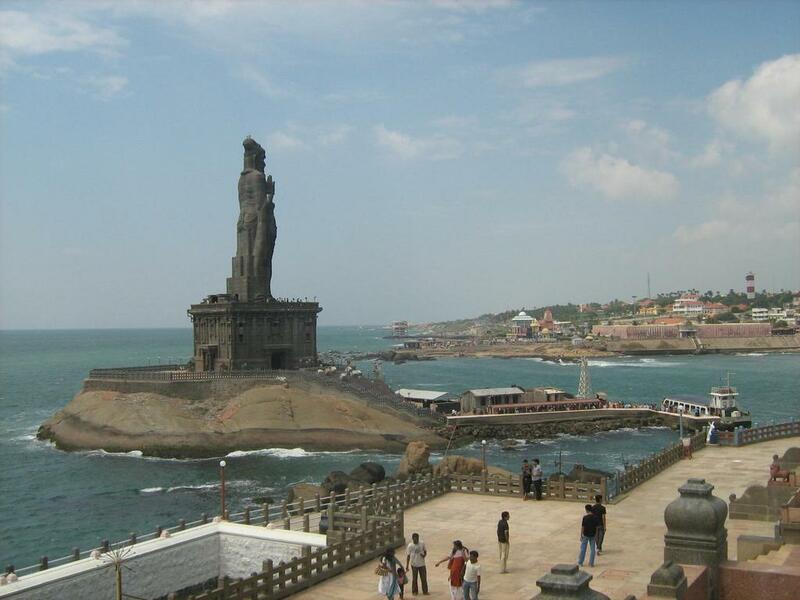 Nearly 17% of foreigners arriving in India visit Tamil Nadu each year. The Vision-2023 document targets an investment of Rs 10,000 crore in tourism and hospitality sectors through public-private partnerships by 2023. While the arrival of foreign tourists is expected to rise from 3.6 million at present to 15 million by the end of 2023. Further, the tourism ministry is in consultation with stakeholders to formulate a new tourism policy with the aim to attract high-spending global travellers and invest in big ticket projects for creating a host of facilities. 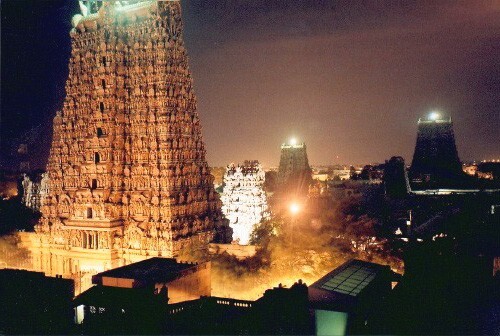 Temple towns Madurai, Kumbakonam, Tiruchendur, Tiruchy, Rameswaram and Chidambaram, among others, with their retinue of Hindu gods and goddesses narrate a historical legacy of their own, thereby attract a non-stop flow of visitors from the North and rest of the country. Temples and other pilgrim sites like the six abodes of Lord Muruga are the main draw of people from neighbouring states as they have religious importance and people take vow to visit them at least once in their lifetime. Nilgiris and Kodaikanal, part of the Western Ghats that form a natural border for the state to its west, have an infinite charm alluring both domestic and foreign tourists for a brief stay. TTDC has set up hotel chains, restaurants and facilities at the scenic peaks here giving breathtaking views of mountain ranges, deep valleys and stunning visuals that have grey clouds streaming over craggy peaks covered with tropical forests. Other hill resorts like Yercaud, Elagiri, Javvadhu Hills, Kolli Hills, Sirumalai Hills, Valparai, Topslip, Parvathamalai Hills and Pachamalai Hills too get steady patronage by visitors from all over the country. When it comes to wildlife habitats, then Mudumalai Tiger Reserve (MTR), Kodiakarai, Kalakkad and Mundanthurai have seen the largest flow of visitors during their busy seasons. The grand Chola temples in Thanjavur (Brihadeeswarar temple), Gangaikonda Cholapuram (Gangaikondacholisvaram) and Darasuram ( Airavatesvara temple) have got the tag of world heritage sites as they showcased grandeur in architecture and greatness achieved by Tamil Society during the reign of king Raja Raja Chola and his son Rajendra in 11-12 Century A.D.
A group of stone monuments carved out in 7-8 Century A.D. during the reign of Pallavas on the Coromandal coast near Chennai has also been listed under the world heritage site. The Nilgiri Mountain Railway was considered an engineering marvel as the narrow gauge track was laid after cutting through a thick forest of Niligiris during the British era paving the way for rail connectivity that ushered in hill development. This scenic train journey passes through a number of picturesque stations that enthral passengers. Hence, NMR was also included under the world heritage site by Unesco. Only with help of private sector, the government will be able to expand the capacity of the tourism and hospitality sector which has the potential to generate the much need revenues and at the same time become a source of gainful employment for the youth. Though no hard data exists on the number of people directly employed in tourism sector in TN and the income earned by it in absolute terms, it cannot be denied of the fact that more investment through PPP models will definitely result in better rate of returns in the long run. Besides, a new breed of youngsters are being trained by the hospital management courses who can be absorbed in hotels and resort facilities to service foreign tourists in the years ahead.